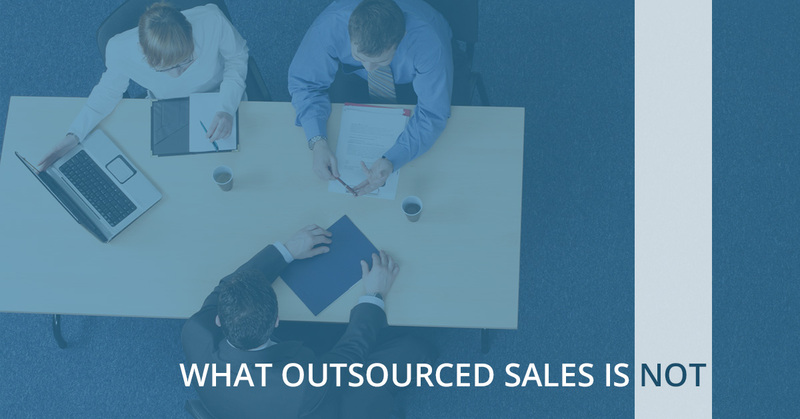 In our last blog, we looked at what sales outsourcing is. Now we’d like to explore a couple of things that our outsourced sales service is NOT. There are a lot of misconceptions regarding what outsourced sales actually is and is not, as Access2Sales is pioneering a relatively new concept after spending many years in the business world, and seeing the need for such a service, we’ve set out to provide just that to entrepreneurs and business owners everywhere. Outsourced sales is not getting Access2Sales to lend you a few hours of someone’s time in exchange for a fee, while the rest of the day that person works on something else. The sales representative we find for you will work exclusively with you. Outsourced sales is not having Access2Sales make a decision on your behalf that leaves you stuck with a salesperson who doesn’t end up being a good fit for your product, company, or culture. You will work with us to make the hiring decision together once we’ve narrowed down a pool of candidates. Outsourced sales is not paying Access2Sales a recruiting fee to conduct the hiring process on your behalf. We charge no recruiting fee because we are deeply invested in the quality of the salespeople we provide to our clients, and your success is our success. Outsourced sales is not the same as turning to a temp agency. We don’t want to just fill a spot for a few weeks or months for you while you look for a permanent employee. We want our service to provide so much value to you that you don’t need to look anywhere else once you outsource your sales hiring to us. Outsourced sales is not merely finding a salesperson who can do cold calling for you. There is so much more to it than that. In our sales support center, we support our sales agents with people who can perform cold calling, appointment setting, and research for them, so that they can focus on what they do best–selling. Outsourcing your sales force is simple. You get sales people who will work for you, visit your clients, make sales calls, and close deals. We do all the work of finding that person, paying that person, and making sure that person is successful. The important thing is that you need people who will make sales, and that is what our sales professionals are trained to do for you. Leave the rest to us. To get started, contact us through our online form or give us a call. One of our staff members will be happy to assist you with the information you need to take the next step.